The March 6, 2019 journal Cancer published the findings from a qualitative study led by researchers at the Johns Hopkins Bloomberg School of Public Health yielding nine patient-driven recommendations to reduce the long-term, breast cancer-related economic burden. For those living with the disease, particularly those who develop lymphedema, estimated out-of-pocket costs are $14,877 in the first two years of diagnosis. • Provide assistance with understanding what is covered under insurance and how to navigate changes when switching to a new insurance provider via the Komen hotline at 1-877 GO KOMEN (465-6636. 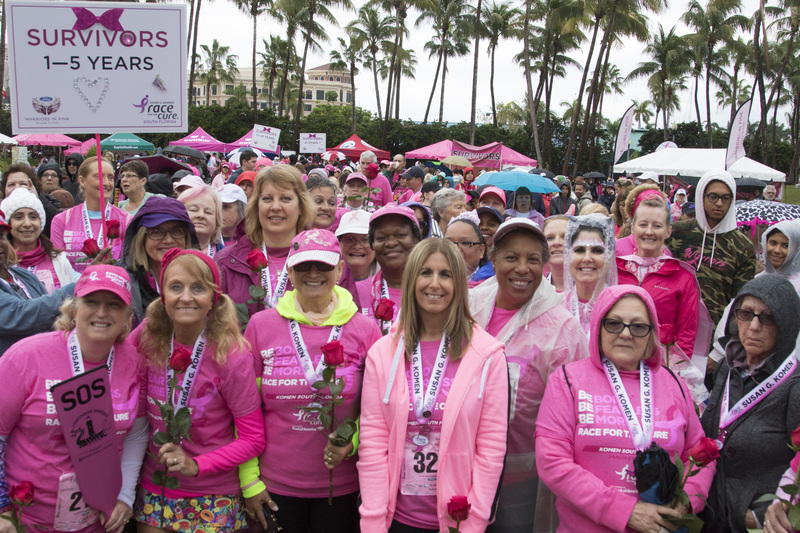 In 2017 alone, Komen Florida provided funding for 735 people to receive patient navigation services, and its new Treatment Assistance Program launched earlier this year will offer financial assistance to women in 64 counties across the state. The program supports women (or men) with a cancer diagnosis who are active in treatment and have incomes at or below 250% of the Federal Poverty Limit. The funding provides for medications, psychosocial support, child/elder care, transportation to appointments and other items or services to ensure patients have the means to follow their care plans. 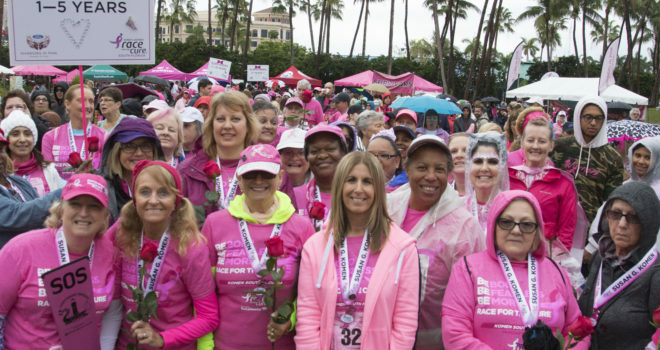 Targeted funding to address community-specific needs is also a focus of Komen Florida. A recent grant to provide transportation services for breast cancer patients in the rural Glades region now enables residents to get to and from Lakeside Medical Center in Belle Glade, FL for their care. Komen realizes that patients who are not living in poverty sometimes also need financial assistance with the cost of care. That was the case for Lisa Fitter of Wellington, FL who did not have insurance because of pre-existing conditions in 2013. A Komen Florida grant to Bethesda Women’s Health Center made it possible for Fitter to receive the diagnostic testing and treatment that saved her life. She recently passed her five-year survival milestone. “When you don’t have insurance, you don’t realize how far out of reach healthcare is,” said Fitter. “If there were no Komen, I honestly don’t know what we would have done. You hate to think that you would ever be in that situation,” she said. For more information about Susan G. Komen Florida, please call 561-514-3020 or visit www.komenflorida.org. For more information about Komen’s Treatment Assistance Program, please call the Susan G. Komen Breast Care Helpline Monday-Friday 9am-10pm ET at 1-877 GO KOMEN (465-6636) or email helpline@komen.org.